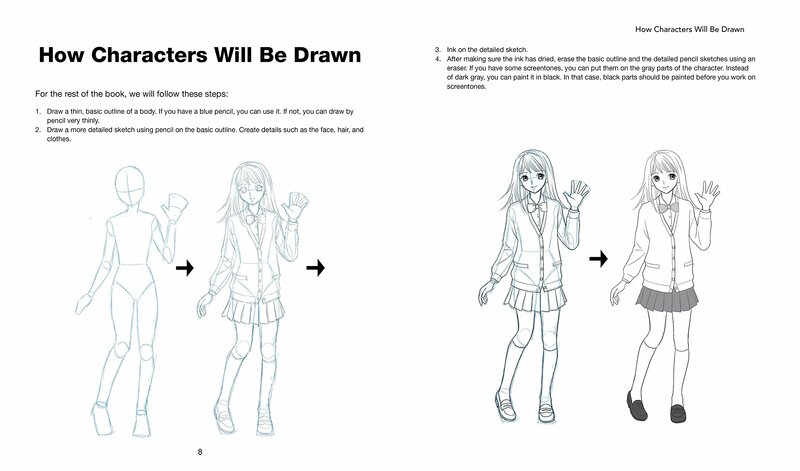 Otaku USA contributor Danica Davidson is about to publish her second instructional manga art guide book, Manga Art for Intermediates, so we took the opportunity to talk about the process with her and the book’s illustrator, Rena Saiya. The book officially hits stores on June 12, so prepare yourself with an insightful look behind-the-scenes below. Otaku USA: Tell us a little about how you two started working together. What are your respective histories in writing and illustrating, and how did this followup Manga Art guide project come about? Danica Davidson: I’ve been writing stories since I was a little kid, and I’ve published thirteen books (both novels and graphic novels) with three more coming out this summer, including this one. I started reading manga as a teenager and fell in love with it. I was working as a journalist and pitched an idea of interviewing voice actors hired to do the English dubs of anime. 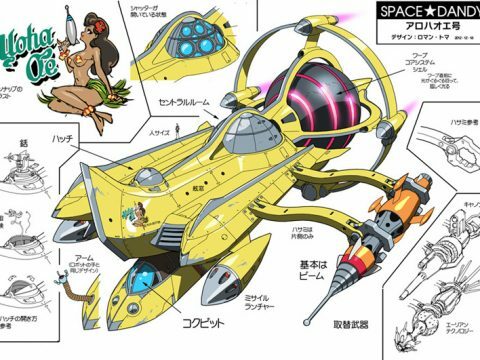 That went through, and that led to me writing for Anime Insider. 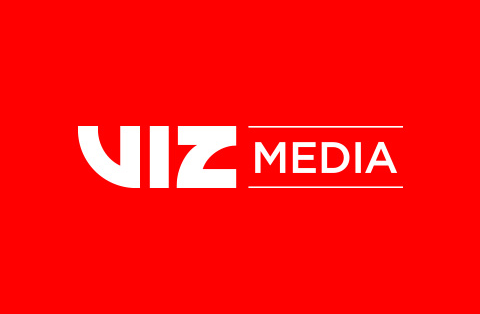 From there I started covering manga for a lot of places (Booklist, Publishers Weekly, MTV, CNN, The Onion, Anime News Network, Shojo Beat, and — of course — Otaku USA). I also worked for a while adapting manga into English for Digital Manga Publishing, and I do freelance work in the editing process for Yen Press, looking over manga for any errors before they go to press. I worked with a different artist (Melanie Westin) for the first book, Manga Art for Beginners, but she was interested in doing other projects. My publisher wanted another manga book, and I found Rena on LinkedIn — she had a great page explaining that she was a professional mangaka who spoke English and was interested in publishing overseas. I checked out her website and sent the link to my agent. He agreed that her art looked great and I reached out in an email. After we exchanged a few emails discussing the project, she agreed to work on it. Rena Saiya: I worked at one of the three big publishers in Japan as a manga author for several years. Some years ago, I started to expand abroad as a freelance manga author using a new pen name. Since manga is spreading worldwide, I thought it would be interesting if I worked with foreign publishers directly. Thanks to the Internet, I can do so while staying in Japan. I’m creating a new plan for my manga series related to fantasy and I’d like to publish it through a foreign publisher. It’s lucky I was found by Danica and eventually I was able to publish this first book in America with her. In the first book, you covered a lot of the basic character archetypes: Hero/Heroine, Students, Ninja, and so on. How did you decide what to cover in the intermediate guide, and what makes the instructional approach different? DD: I came up with the list for both books. Again, it was looking at popular characters that hadn’t been covered already. So in this book we have characters like Bride & Groom, Seme & Uke, Nekojin, Yokai, Victorian Man, Heian Man, Female Warrior, Soldier and more. I want a wide range of characters that appeal to both male and female readers and people who like different genres of manga. The first book is for beginners, so it’s for anyone who feels like sketching. This book is for people who have a basis in drawing but want to go to the next step. So it talks about inking, what pens to use, what paper to use, what software to use. Then it gets into the character drawing. 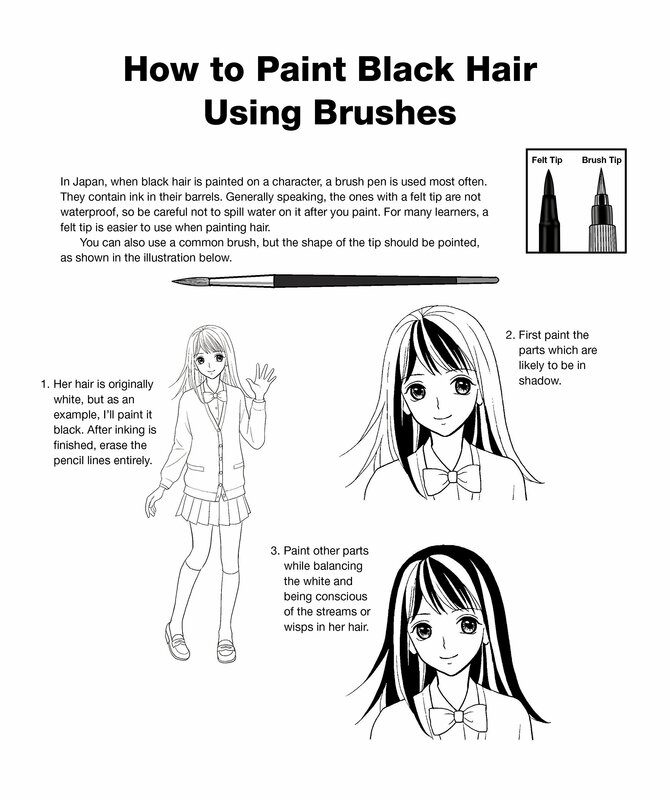 There are obviously a ton of manga art guides out there. Is there something you felt was missing from them, or did you just want to introduce your own spin on the subject matter? DD: I found a lot of them frustrating for a couple of reasons. 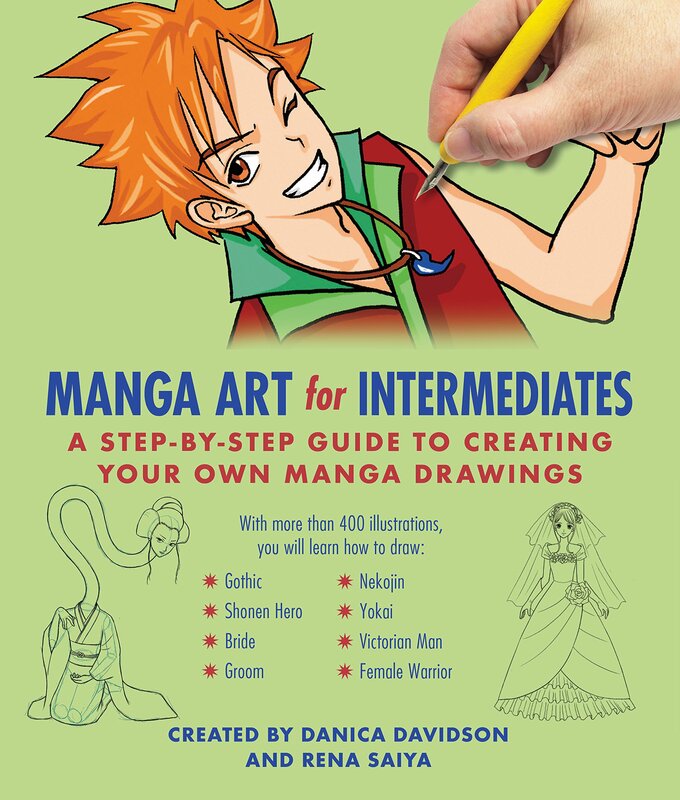 One, a lot of the how-to-draw manga books out there don’t look like manga. They look like a hybrid of manga and American comics. The other is that the books usually rush you through characters. You have an outline, you have a bunch of stuff added, you have a bunch more stuff added, and then there’s the final drawing. 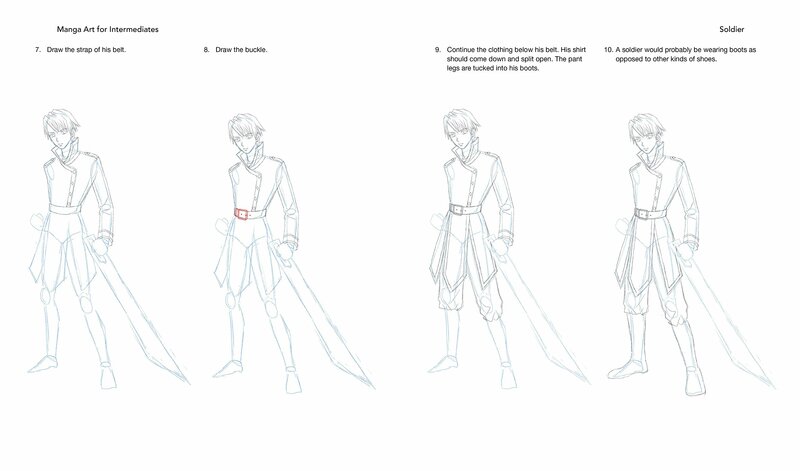 So I wanted to create how-to guides that look like manga and really show the steps for drawing characters. Also, I’m not aware of any other how-to books in America from a Japanese mangaka. In the first book, Manga Art for Beginners, I did all the layout, writing and ideas, and Melanie drew to it. With Rena, she was also teaching me things about professional manga drawing in Japan that I had not read or heard anywhere else. That information went into the book, and it’s all thanks to Rena’s knowledge. So I still wrote out the layout and most of the pages, but she provided some very useful insights. I think the book is very unique because it was put together by an American person who knows the American manga market and a Japanese person who knows the Japanese manga market. For an American book on manga, it seemed like the perfect fit. What are the biggest challenges of putting together a step-by-step guide like this? DD: I’m in America and Rena is in Japan. That’s a thirteen hour time difference with Rena a day ahead of me. We would Skype at 8 PM my time and 9 AM her time. Then we would email back and forth to discuss. 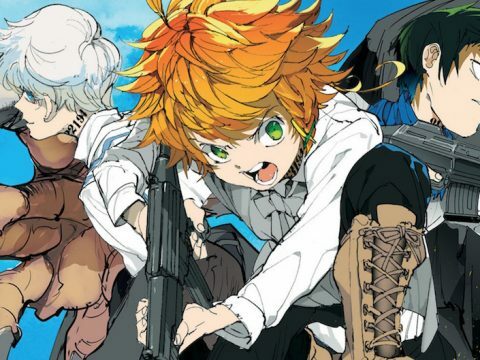 This one’s for Rena: Which manga artists inspire you, and are there any particular series you consider to be must-reads for aspiring creators? RS: As you may know, in Japan, usually manga artists are supposed to create both stories and pictures. So, I would call them manga authors and I’m one of them. I’m especially interested in manga authors who can create excellent stories. In that sense, I respect Osamu Tezuka or Suzue Miuchi, who are known for their excellent storytelling ability. 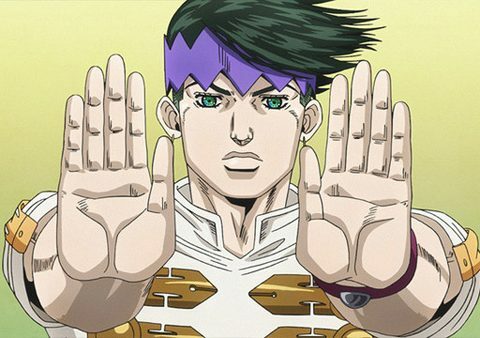 With regards to the works which can be must-reads for aspiring creators, since the genre they are fond of varies, I’m not too sure which ones can be must-reads for all of them. But I’d recommend the masterpieces of the two manga authors, Phoenix, Black Jack, and Glass Mask. They were created many years ago and Glass Mask has been continuing for over 40 years, but it is still worth reading to enjoy their wonderful stories. 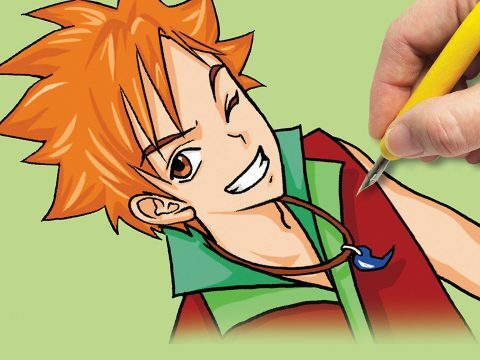 If you each had to give one essential piece of advice to any would-be manga artists out there, what would it be? DD: My first bit of advice is that it takes time for talent to grow. You can’t buy a how-to book, do one drawing, think it looks bad and give up. I didn’t become a writer overnight and Rena didn’t become an artist overnight. It takes practice. RS: I think it depends on where the would-be manga artist makes his or her debut. As I said, in Japan, manga artists are supposed to create both stories and pictures in general, so, they are actually manga authors. Therefore, if you want to become that kind of manga artist, I would say you should study storytelling hard. It’s because manga authors who are good at storytelling tend to sell their manga books well and hold on longer in the competitive manga industry. Even when the storytelling ability is not good, if the picture drawing ability is really high, he or she can work with a good manga story writer, though. There would be many ways to study storytelling and I cannot refer to everything here, but at least would-be manga artists should read or watch books, movies, anything that contains interesting stories. That can surely enrich their creativity. As for the picture drawing, I recommend observing things neatly at every chance and trying to understand their construction or proportion. 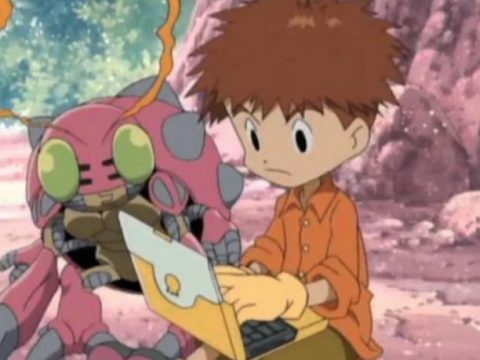 Whether writing novels or creating manga, is there anything you wish you could go back and tell yourself now that you had no idea about in the beginning? DD: That it takes time. When I was in middle school, I was sending out novels to agents. Some of the agents wrote back to say they liked my writing, but they wouldn’t take me on because I was too young. I was devastated. I think being devastated also showed how I needed to mature, because a lot of this business is rejection. Also, just because you get a rejection (or a hundred — or a thousand) it doesn’t mean that’s all you’ll ever get. What’s next for the series? Do you see plenty of room for an Advanced edition in the future? DD: We’ll see what happens next! My first thought is that the next logical step would be manga books on different genres and more about panels and backgrounds. So far the books are concentrated on character drawing. RS: As I said, I’m creating a new plan for my fantasy manga series. There are many good manga works which deal with the real world and I can enjoy them as one of the readers. But as a creator, I’m more interested in fantasy. I like to create something which could be expressed only in manga. It’s really desirable if I can show the world an epoch-making one! Manga Art for Intermediates is currently available for pre-order on Amazon.